All ages are affected when a loved one develops memory issues. In honor of National Caregivers' Month, join Main Street Books on Thursday, November 1st at 7 p.m. for a reading and discussion led by memoirist Ann Campanella, children's book and caregiver guide author Mary Ann Drummond, and young adult author Frank Morelli. Charlotte Writers' Club North is co-sponsoring this event. Ann Campanella, a former magazine and newspaper journalist, was honored to be called one of The Most Influential Women in her community by the Herald Citizen. She helps manage AlzAuthors.com, a site with over 170 books and blogs about dementia.This year, Book Authority named her memoir, Motherhood: Lost and Found, one of the "Best Alzheimer's Books of All Time." Mary Ann Drummond, RN and CEO of Angel Tree Consulting, has a passion for presenting innovative and successful strategies in both caregiver and provider settings to assist individuals with dementia “live their best” each day. She has over thirty years of nursing experience and sixteen years as a VP in the assisted living industry developing programs for dementia care. 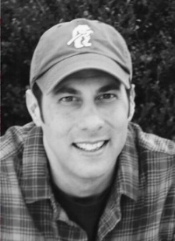 Frank Morelli, a Philadelphia native, graduated from Albright College with a degree in English and moved to New York City to become a teaching fellow. He earned an MFA in Fiction from National University. His novel, No Sad Songs draws on the experience of losing his grandfather to dementia when Frank was in high school.